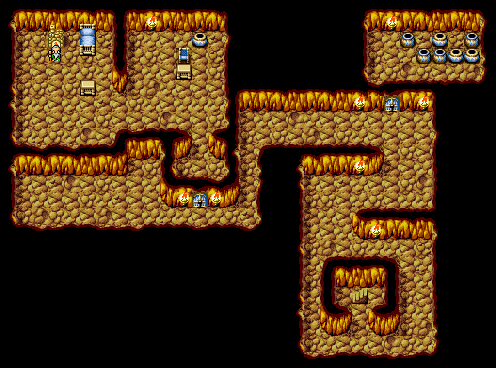 The Sage’s Cave is the home of Sadda, an old man who gives the Light Warriors the Earth Rod as a reward for defeating the Vampire in the Cavern of Earth B3. Sadda further cautions that the true source of the Earth’s corruption lies deeper with the Cavern of Earth. There are no random encounters within the cave. The Light Warriors will not need to return for the remainder of their adventure.